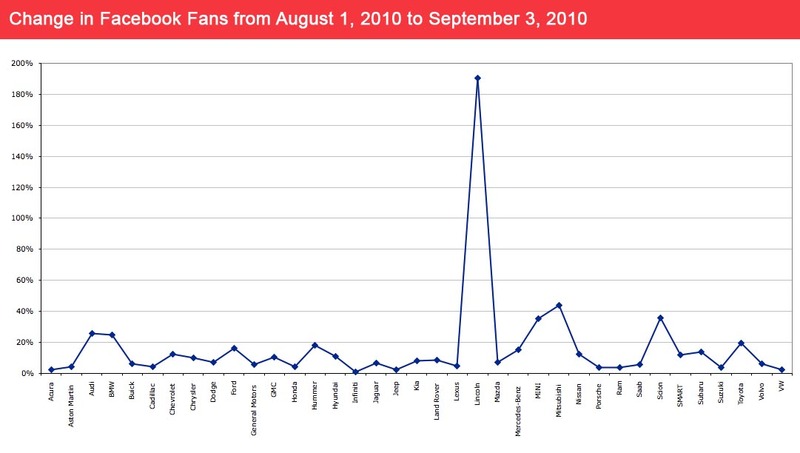 It was bound to happen and September was finally that month where I didn’t have an opportunity to get the monthly Facebook Fans report up on the blog in the first couple days after capturing the numbers. 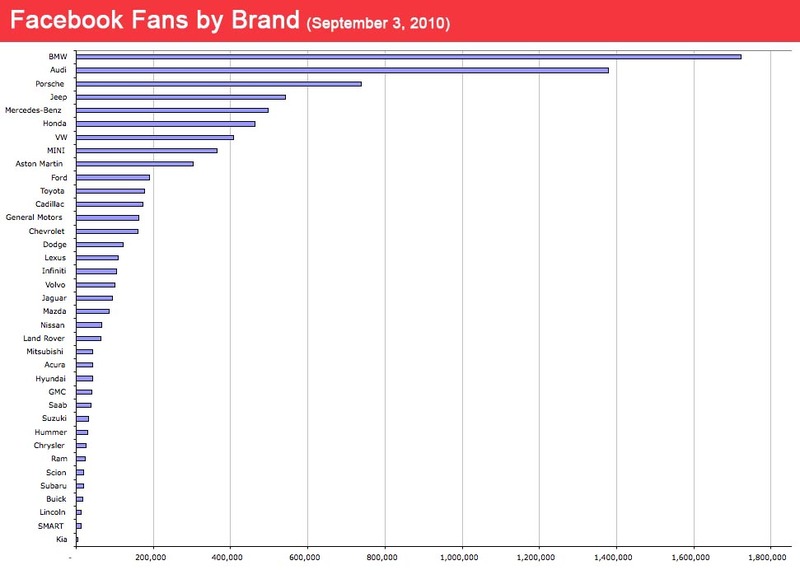 Fortunately, I did record all the fan counts on September 3, but with the Labor Day weekend and a week of social media fun on the new job (more here at TechCrunch.) I didn’t get a chance until now to finally analyze this month’s data. 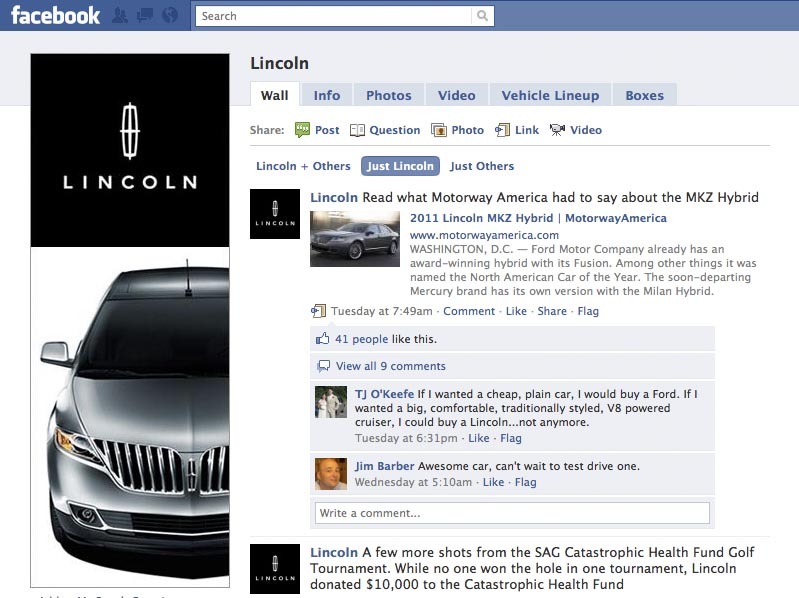 First, let’s talk about the brand I used to do digital strategy for: Lincoln. Lincoln’s growth in August definitely received a major jolt as it increased fans from 4,533 to 13,161 leading to a 190% increase. Most of this can be attributed to a contest Lincoln was running in July and August where the brand showcased a chance to be the first to test-drive the all new Lincoln MKZ Hybrid. 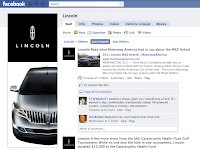 Lincoln created a special tab for the MKZ and also accompanied the promotion with some email marketing and advertising on Facebook. Of course, the jump is significant, because Lincoln’s fan base is a small number so adding almost 9,000 fans will cause a big boost percentage wise. Finally, in the giveaway to get Fans Facebook strategy, Mini also participated with their Win a Countryman contest. They saw a strong 36% increase in fans. Product launches naturally tend to increase fan counts beyond the normal 3-6% organic growth, but by adding a giveaway Mini boosted their growth significantly. Toyota continues to do a lot of marketing on Facebook. They continued throughout August with ads throughout the Facebook site where they mostly promoted their Auto-Biography contest where participants submit videos about their personal experience with Toyota. Toyota is letting the message come from customers, a very smart message after a year I’m sure the company can’t wait to be over. The other big news for August is BMW is rapidly gaining fans to cross the 2 million fan mark. They just crossed 1 million fans back in July. Yet, they continue to still spend time on the BMW USA fan page. 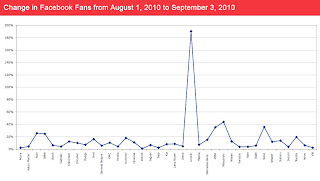 Segmenting fans by creating unique fan pages has never been a good approach in my book, especially considering you can segment your messages to your fan base by using Facebook’s features to send a message only to people in a particular geographic location. That issue aside, they are dominating in the automotive Facebook fan grab. That is interesting stuff. Curious if any of this will impact sales in any way. Ironically the number of fans seems to be inverse to the affordability factor. I bet 80% of the BMW fans will never be able to afford a new one. But that is what used ones are for! 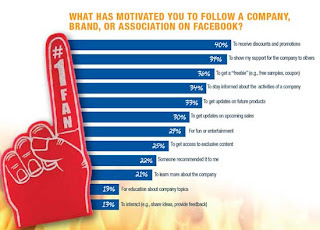 I have a client who was very successful using Facebook Advertising to gain fans. But they are a bit pricey around $25/100 fans. Also will be interesting to see if the car companies can provide enough content to draw Fans back to their page. I saw the charts and my first thoughts are "Are the stats credible?" 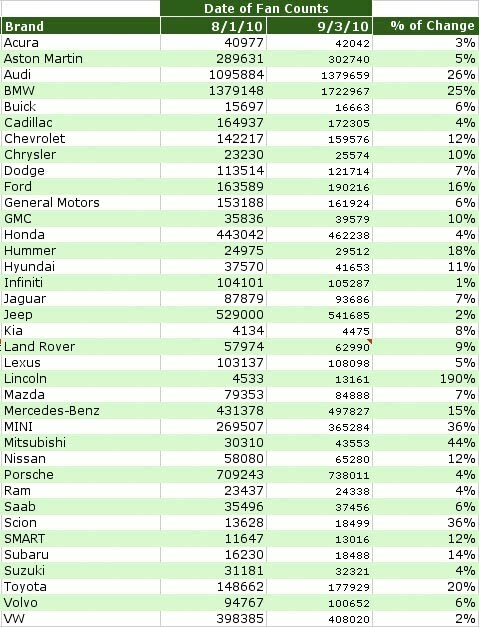 The contrasting numbers for BMW and Lincoln in the two charts are just incredible. Thanks Classic Old Cars, I did this originally to follow trends when I was leading digital strategy at Lincoln/Mercury. Auto Care: I can guarantee you the numbers are correct and I have data from early last year show the progression too. In fact you can search this site, for reports since Nov '09 when I started publishing my analysis. A very informative source you have here! With this information, we will know what we can do next to make our business grow. We will be able to learn if we are behind from our competitors or not.